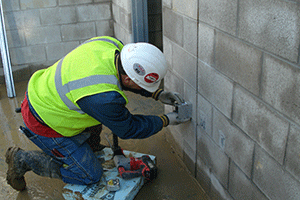 As electrical contractor, Industrial Electric’s scope of work included installation of all building systems, general power, communications, fire alarm system, gas monitoring/detection, equipment controls, and fiber optics. 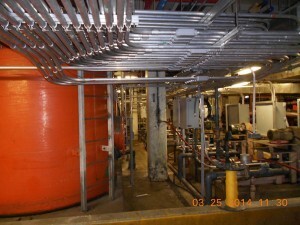 The scope of this two year project included the installation of an expanded fiber optic backbone system, the replacement of multiple PLC’s across the plant, along with new process control conduit and wiring. 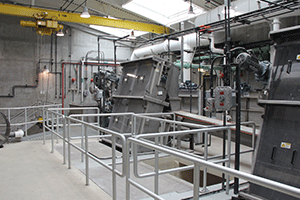 Industrial Electric’s scope of work included the upgrade of the Solids Processing Network with a new network, server, and software that allows the new network and existing network to integrate while maintaining functionality. 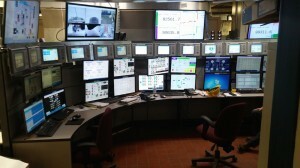 Our company remodeled the Incineration/Dewatering Building Control Room to allow for new equipment, PLCs and a localized control console for the Operations team. 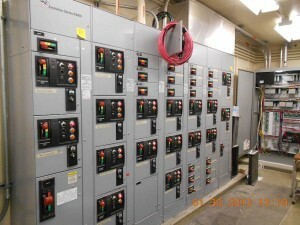 Industrial Electric’s responsibilities included all labor and material to provide a complete electrical system consisting of main electrical switchgear, panel boards, disconnects, generator, transfer switch and an emergency electrical system.